Our bed & breakfast rate is from £73.95 for 1 person & from £81.95 for 2 people. Please check on-line for our flexible & advance purchase rates. All reservation rates are subject to availability. To secure your reservation we will require a credit card or debit card number. Your reservation is for the use of one room from 3 pm on the date of reservation until 10:00am the following day. Please note that advance purchase tariffs are non-refundable and may not be changed or cancelled at any time. All flexible rate reservations may be cancelled 48hrs prior to your scheduled arrival (any time before 12 noon) free of charge. If a cancellation is made within the 48hr period prior to the date of reservation there will be a charge for the full price of the first night stay. If you cancel or do not arrive after 12 noon on the date of reservation you will be charged the full room tariff. Please note that for large bookings,a non refundable deposit may be required. The Management of the Purdy Lodge reserves the right to withdraw these offers at any time. 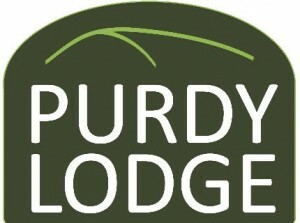 The Management of the Purdy Lodge also reserves the right to refuse or cancel bookings at any time. Please note that any decision made with regard bookings are final. Please note that any significant damage to a bedroom or the contents of the bedroom will be charged in full to the account of the person who reserved the accommodation. Damage will include but not be restricted to physical damage or soiling that may require replacement or render the room unusable for any period of time. This charge is non negotiable and may be added at the managements discretion.